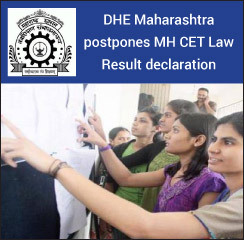 MH CET Law result 2017 will be announced on June 1 and June 2 as Directorate of Higher Education, Maharashtra postpones the date of MH CET Law 2017 results by as many as two days. Earlier, the results of MH CET Law 2017 were to be declared on May 30. 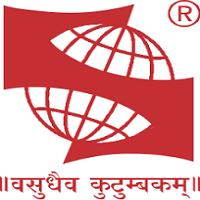 “The result of MH CET Law 5-year law programme will be announced on June 1 and that for 3-year LLB programme on June 2, 2017,” reads an official notification from the DHE Maharashtra. The Directorate will also be releasing MH CET Law scorecard along with the results of MH CET Law 2017 on the scheduled dates. Moreover, the DHE has also revised dates for various post exam events. Candidates waiting for the Maharashtra Common Entrance Test results can know here detailed information on MH CET Law result 2017. LATEST - MH CET Law Results 2017 have been announced for three-year LLB programmes!!! Further, the DHE has not specified any possible reasons for the delay in MH CET Law result declaration. “The CET Cell will be publishing admission schedule course and Counselling Admission Program (CAP) Brochure for the test takers on June 22, 2017,” says Chandrashekhar V. Oak, CET Commissioner informing on MH CET Law results 2017. According to revised admission schedule of MH CET Law 2017, the first admission list for Maharashtra Common Entrance Test for five-year integrated law programmes will be on July 17 and that for 3-year LLB programmes on July 19, 2017.